Shift Sync automates the scheduling process, making schedule changes quick and easy and increasing workplace satisfaction. IBM MobileFirst for iOS Shift Sync automates the scheduling process, making schedule changes quick and easy. 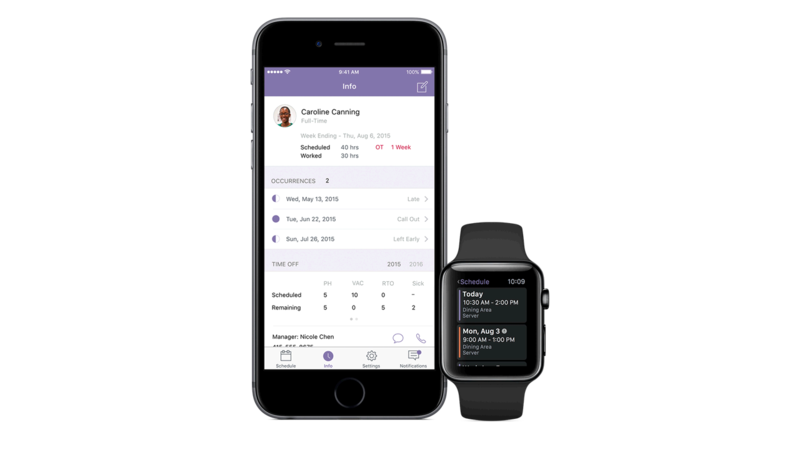 Employees can view their schedule on their iPhone. The app makes simple shift swaps easily. Employees can submit swap requests to available associates right from the app, eliminating the need to call or come in to the location for schedule changes. Managers can keep on top of scheduling and staffing in real time. This leads to better management of schedules for employees, and greater workplace satisfaction. The app displays real-time schedule updates. Scheduling changes are streamlined since the app allows employees to submit shift swaps to an available list of colleagues. Employees can manage their shifts directly from iPhone. The app provides notifications alerting employees of schedule changes or requests for alternate shifts. Employees gain visibility to their schedule anywhere they go. The app allows for managing schedule change requests and accepting or declining shift requests for other employees.